This would help you offer all the products from a specific category at a discount when the customer purchases at least any 1 from the same category. That is 1 quantity of 1 product from the category will be charged at full price. The subsequent quantities of the same product or other products would be offered at 50% discount. 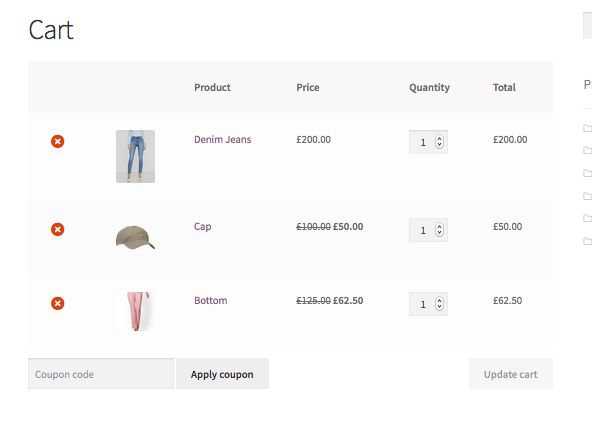 Start creating the rule buy going to WooCommerce -> Woo Discount Rules -> Price Rules -> Add a rule. 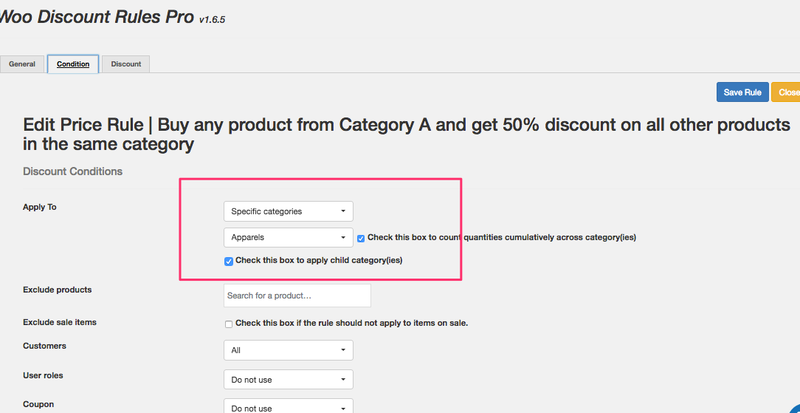 Make sure you choose the "Quantity based discount / BOGO deals method"
Set the Apply To as "Specific Categories" and choose the category. You need to add multiple ranges. Because when customer purchases 2 quantities, he is eligible for a 50% discount for only 1 quantity. I have added ranges up to 4. But you can add up to 10 or 20 depending on your customer's purchase behaviour. Here is how it would look at the cart. As you can see, the highest priced item would be charged in full price. If you have any further questions, feel free to reach out to us via the Live Chat. 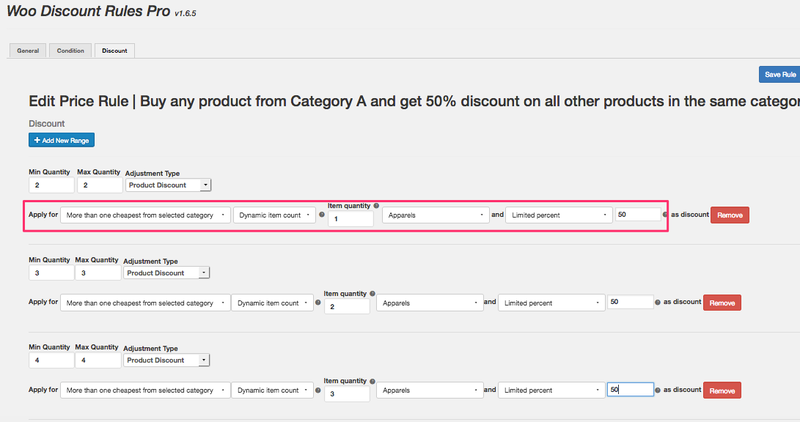 Example: Buy any 1 product from Category A and B, and get discount on other items from these two categories. Just choose both the categories in the Conditions tab and also in the discount tab. Here is the guide detailing the changes in naming conventions since 1.7.0 version.